"Common ground," the concept, seems like a mythical, unoccupied realm in these divisive times. 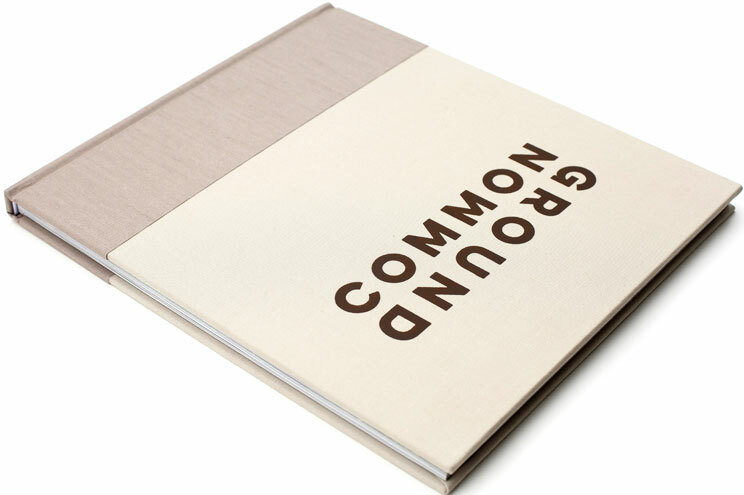 Common Ground, the book, reminds us there are meaningful ties that connect us to each other and our communities. The story follows two families living on the same plot of land, but many years apart. Juxtaposed photos limn the commonalities that bind these families across space and time. Longtime farmers Harlow and Jean Cagwin sold their land, after decades of ownership, to a developer who turned it into a subdivision. Then Grabenhofers, with their four children, bought a home on the site where the Cagwin's farmhouse once stood. Pulitzer Prize winning photojournalist, Scott Strazzante, captures the simple yet profound moments that show how these two families who seem to live worlds apart nevertheless share a common bond . . . a common experience . . . a common ground - as, indeed, we all do. Maybe more so than we realize.